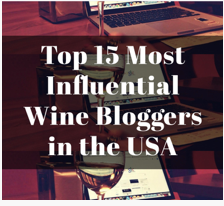 Early yesterday morning, I learned that I am a finalist for a Millésima Wine Blog Award for my story about my trip to Brooks Winery and its founder Jimi Brooks and current CEO Janie Brooks Heuck, Jimi’s sister and current President of the winery. While it is actually an honor just to be a finalist, there is now an internet vote to choose the winner. So despite how I feel about internet votes (it has nothing to do with the merits of the relevant articles but rather one’s vigilance in beating the drum), I am asking you for your vote. Should I win, I would get a trip to Bordeaux to taste some fancy wines. What Happy Wine Woman said!